Katniss Everdeen survived the Hunger Games. Now the Capitol wants revenge. Against all odds, Katniss Everdeen and Peeta Mellark are still alive. Katniss should be relieved, but now there are whispers of a rebellion against the Capitol – a rebellion that Katniss and Peeta may have helped create. Catching Fire is the second novel in the Hunger Games trilogy, and it is 6 months on from the end of the 74th Games, Katniss and Peeta embark on their Victory Tour, before the Reading of the Card. Every 25 years is a Quarter Quell (a Games with a special rule to make it even more ‘exciting’) and this year, being the 75th Games, means it’s the 3rd Quarter Quell. The Reaping brings emotions to all the districts, as the unimaginable happens. These cards were said to be written down 75 years ago, but the rule seems to perfect an answer for someone and it becomes questionable as to whether it is 75 years old. The second book brings even more tension and excitement to the story, as the unthinkable becomes real. No-one could guess at what the rule is. But that’s what makes the book so gripping, you must find out once you begin reading this book. Like the first one, Catching Fire is exciting and intriguing, and you grow evermore attached to the characters as you follow them through their lives. In the Hunger Games, anything can happen. The cover is really simple and silently says a lot about the book. I loved this book because it brought new twists and characters into play. The film has been released now and is coming out on DVD in the next few months. Every year the Capitol holds a live event, The Hunger Games. The Games is the Capitols way of punishing the 12 districts for the rebellion 74 years ago. Before the official Games, there is a Reaping to select one girl and boy between the ages of 12 and 18 to enter into the Hunger Games. Living in one of the outlying districts (12) Katniss Everdeen enters the Hunger Games alongside her district partner Peeta Mellark. The object of the Games is to be the last one alive. Yes, alive. The only rule is to kill or be killed. The Tributes fight their way through the Games for as long as they can. The bloodbath is always the worst place, right at the beginning of the Games, supplies piled high in the Cornucopia and tributes fight each other to get the pick of the lot. Some run, some fight. This is one of my favourite books because of the way it is written, vey intriguing and interesting. Once I started I couldn’t stop reading to find out what happened next. My emotions changed dramatically with the turn of every page, tension, sadness, relief and euphoria. Every chapter brought a new twist. The genre of this book is dystopian, meaning where people and things don’t work well together (definition from the online Cambridge Dictionary) and is the opposite of utopia (a perfect world). 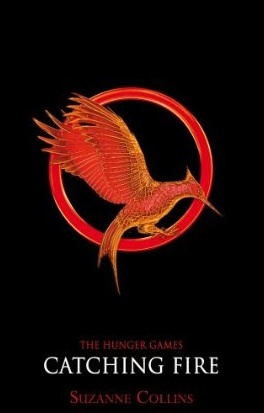 The cover design on the Hunger Games varies, there is an abstract cover, multiple different shades of one colour layered on top of each other, a cover with the colour of the featured bird on the front e.g. 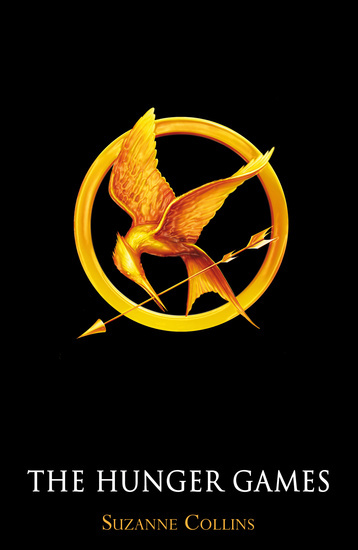 The Hunger Games is a gold background with the Mockingjay Pin on it and there is the Classic cover, black with the title, author and the Mockingjay Pin on the front. This is a must read book and is great for any age from teens upwards.